The daily schedule and life of a YouTube beauty guru can be very hectic at times, but can also pay off in big ways. We know how hard our affiliates work at their YouTube channels, blogs and other websites. Sigma Affiliates Kelsey and Kendra, otherwise known as Glamtwinz334, are no exception to this. With over 4 million video views and almost 50,000 subscribers, Kelsey and Kendra have certainly showed us that they are dedicated to their channel and subscribers. 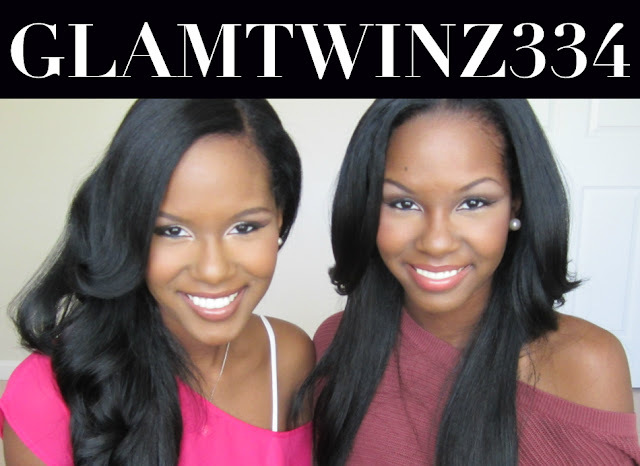 We asked these gorgeous twins to explain a typical day in their lives. A typical day in the life for Glamtwinz334 is pretty practical and unpredictable at the same time; it just depends on the day. From our YouTube channel to beauty school 3 days a week, it gets pretty stressful, but we wouldn’t have it any other way. Filming, editing, and uploading is over the course of 2 whole days and we try to upload once a week. Beauty school is always fun, we learn something new every day we are there. We feel very productive knowing that we are that much closer to our dream of owning our own on-site hair and makeup company. Making people feel beautiful is very rewarding and we know we don’t belong in any other industry but the world of beauty! Finding success such as theirs does not happen overnight. Dedication and persistence can help you achieve your dreams, whether that dream is to gain 1000 YouTube subscribers, start your own makeup line or have a career in the beauty industry. Always remember to keep learning and absorbing as much knowledge you can. Kelsey and Kendra are great examples of this! These girls have an awesome YouTube channel! Great find, Sigma team! Thank you! We're happy to introduce you to new channels! I love watching these girls, they have great advice! Please they are from my home state of Alabama! I love watching these beautiful young ladies videos on Youtube, keep up the great work . And GOD bless. What brand and color hair dye do you young ladies use? Also, how often do you dye your hair?